Cycle into Riwaka for the local cafes and micro brewery. Enjoy the fruits and berry picking of the region. 10 mins drive to Motueka for local restaurants, supermarkets, the Sunday Market and boutique shopping. Explore further afield - Takaka Caves and Golden Bay make a great day trip. Then return home to relax on one of the terraces, enjoying the stunning garden and peaceful setting. There are two bedrooms. Both have double beds in them. We can also put an additional single in the larger bedroom. Just ask at time of booking. Quiet with stunning gardens and terraces. Enjoy seasonal fresh veggies from the garden. Great for the cooler seasons. Checked April 2019 by certified chimney sweep. Parking in the car port. We have a plunger and an espresso pot that goes on the hob. Well located for walking the beautiful Abel Tasman Park. Quiet and colourful garden in relatively secluded area. Spacious for two, seating not generous for larger parties. Facilities are somewhat sparten and tired and a few basic additions would significantly improve the experience particularly for longer stays (we stayed for six weeks). Excellent base for golf (Motueka golf club highly recommend) and prime trout fishing on nearby Motueka River. Absolutely beautiful garden and peaceful warm house that feels like home. What a beautiful little hideaway! What a beautiful little hideaway! 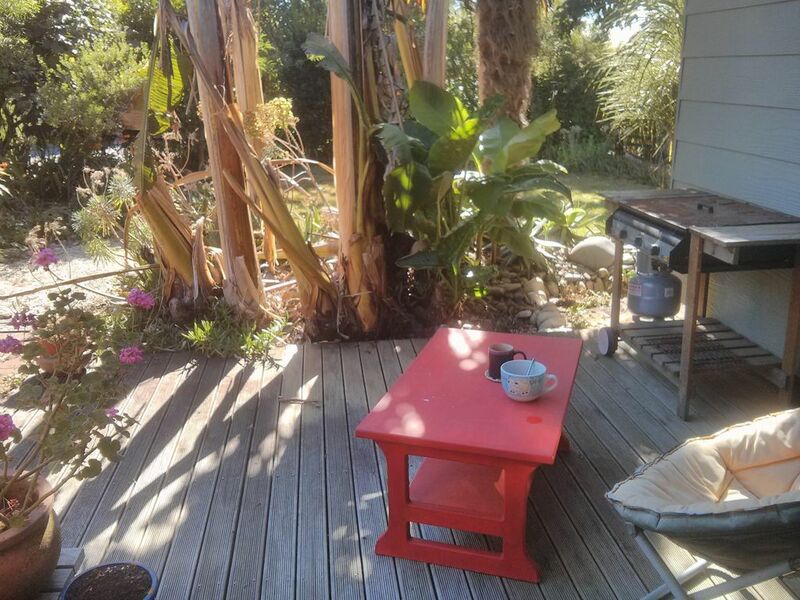 Clean, spacious, lovely garden, quick drive to Motueka for anything you might need. Definitely recommend, absolutely would love to stay again. Location is a beautiful country home close to Able Tasman and Motueka. Location is a beautiful country home close to Able Tasman and Motueka. I would definitely recommend staying there! Lovely place to relax, house had everything we needed for a get away!